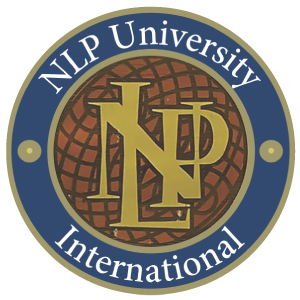 Home » NLP School blog » What is NLP and How did it Start? My own NLP (Neuro Linguistic Programming) journey started fifteen years ago and earlier this month I had the pleasure of introducing NLP to a brand new group of students on our Taster day, many of whom were there to learn NLP for the first time. Today NLP has made its way into many different fields but what is NLP exactly? NLP (Neuro Linguistic Programming) is a set of tools for personal development, based on a study of how we access, store and express ‘information’. Much of the accessing is done via ‘filters’ that can distort reality, and the same is true for storage: what lessons do we learn and which ones do we ignore? This might sound rather dry and technical, but NLP is not just about facts, but feelings, sounds, touch, smell, movement. It’s not just about the brain, but the whole body as a complex system. NLP is vibrant and fun. It is not, incidentally, a ‘cult’ or a set of beliefs that students ‘have’ to accept. You won’t get brainwashed on an NLP course. 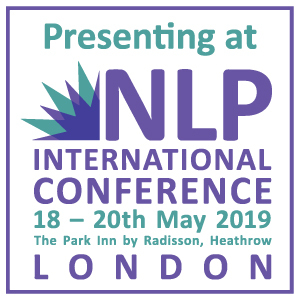 NLP formally began in California in the 1970s, though, like all schools of thought, its roots stretch further back than that – notably to the philosopher and anthropologist Gregory Bateson (1910 – 1980) and the linguist Noam Chomsky (born 1928). It started as an investigation into therapy. NLP co-founder Richard Bandler was fascinated why some therapists were more effective than others, and transcribed sessions conducted by two of the most successful therapists of the era, Virginia Satir and Fritz Perls. John Grinder helped Bandler analyse these transcripts, using his expertise in linguistics: between them, they spotted patterns of intervention which they codified into the first NLP tool, which they called the Meta Model (the term ‘Meta’ is used in philosophy to imply a higher category: this is a kind of über-model, a model of models). The next modelling exercise was with Milton Erickson, the famous hypnotherapist. This led NLP into working with trance states and to look at natural processes of psychological healing and growth. Erickson, who had overcome polio as a young man, had a passionate belief that if he pointed people in the right direction (‘right’ for them), they could heal themselves. From its therapeutic beginnings, NLP developed in many different directions, modelling excellence in other fields such as business, politics and sports. It has allowed itself to be influenced by many bodies of knowledge, from cybernetics to person-centred therapy. The most influential thinker in modern NLP is probably Robert Dilts, founder of NLPU in Santa Cruz, with whom we have a close working relationship. He has a restless curiosity and an amazing skill at creating powerful change models. Other important people in the field include Judith DeLozier, Stephen Gilligan and Steve and Connie Rae Andreas. NLP is used in many areas of life. 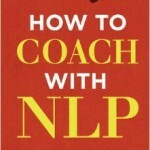 Many coach-training programmes borrow from NLP or use it as a base. 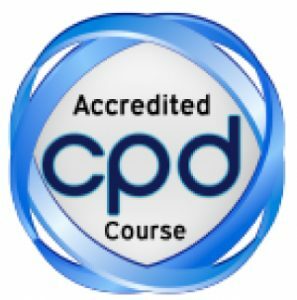 Our NLP courses have attracted many coaches seeking to deepen their understanding of their profession. I am myself an ICF-accredited coach, and have published books on the subject . If NLP provides the core of our psychological modelling, our values come from the world of coaching. Coaches have told us that they’ve found NLP very useful in many ways, especially in understanding and using non-verbal communication, noticing and interpreting language patterns and in creating all-important rapport. NLP has powerful change interventions that coaches can use with clients to help them change unhelpful beliefs, overcome phobias and deal with the relics of emotional entanglements (amongst other things). Many of our clients use Neuro Linguistic Programming as a tool for personal development, for understanding and resolving inner conflict, producing clear, workable goals, dealing with difficult people and freeing up creativity (something that we all have, but which many of us hide, for various reasons). 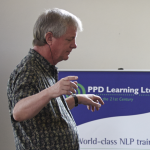 Listen to excerpts from a recent NLP training course to find out more about our approach. How is NLP (Neuro Linguistic Programming) used in sales? NLP is also used in sales. This has damaged its reputation in some quarters – though its success as a sales tool is powerful proof that NLP works. It can’t be ineffective and a sinister mind-control tool at the same time! I encourage our students to use NLP in all areas of life, of which sales is one – in the modern world, most of us have to do some selling at some level. We actively discourage unethical practice, with our sales education courses placing an emphasis on ethical selling. I also feel that an understanding of how NLP is used to sell to us offers protection against unscrupulous marketers and politicians.